Blame your feet for a lot of your knee pain. That’s a simple explanation of why your feet are causes of knee pain. The average person takes as many as 8000 pounding steps everyday on hard surfaces. Each step generates a jarring force 50 percent greater than your body weight. We call it “step shock.” Unfortunately, the painful shock waves that start at your feet travel upward into your knees and are causes of knee pain. Step shock aggravates and worsens knee pain. Unfortunately, shock-absorbing insoles are often an overlooked remedy for knee pain. Foot Shox insoles stop the impact of step shock at its source, preventing the painful shock waves from reaching your knees, helping to relieve knee pain. Knee pain causes more than 11 million Americans to see a doctor every year. The knee is a vulnerable joint that bears tremendous impact and stress from everyday activities such as walking and standing on hard surfaces, lifting and kneeling, high-impact sports and exercising. So, it’s hardly surprising that knee pain is a widespread complaint. Three forms of arthritis are the most prevalent causes of arthritis knee pain: osteoarthritis, rheumatoid arthritis and traumatic arthritis. If osteoarthritis is the culprit, the cartilage that cushions the bones of the knee gradually softens and wears away. The bones then rub against one another, which causes arthritis knee pain and stiffness. Osteoarthritis knee pain most often afflicts middle-aged and older people. Rheumatoid arthritis is an inflammatory disease triggered by the immune system. Rheumatoid arthritis destroys the knee cartilage and joint lining, which causes knee pain. Post traumatic arthritis develops after a serious knee injury, such as a knee fracture or severe tears of the knee’s ligaments. Post traumatic arthritis damages the cartilage over time and causes arthritis knee pain. Other common causes of knee pain include sprained knee ligaments or muscles, torn cartilage, tendonitis, bursitis, sport injuries and being overweight. 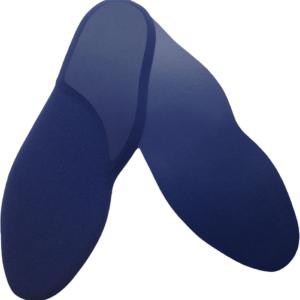 Foot Shox insoles relieve knee pain better than any other insole product on the market. That’s because Foot Shox insoles are made entirely of LIQUID FILLED, the #1 shock absorbing insole material in the world. An independent lab rated LIQUID FILLED #1 for absorbing painful impact forces — superior to latex foam, gel, sponge rubber, neoprene, vinyl sponge or viscoelastic. The more shock absorption in your insoles, the less pain in your knees.